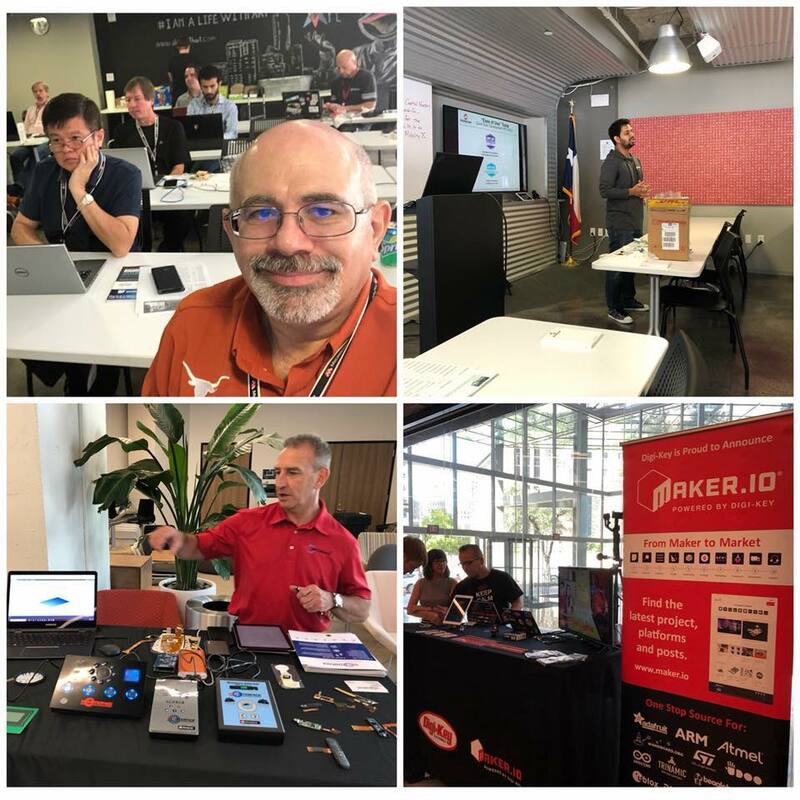 Last month I had the opportunity to participate at two workshops organized by Microchip Technology in Austin. First one was an introduction on the state of the art of Microchip’s development tools for Effortless Design. It not only covered the original Microchip MPLAB X IDE and associated tools but also the latest advancements on Atmel’s (now owned by Microchip) Studio 7.0. Both tools are now based on advanced integrated development environments which make them more efficient, modular and extensible. Microchip’s MPLAB X IDE is based on NetBeans and Atmel Studio on Visual Studio. Given that the customer base on both the Microchip and Atmel sides is highly invested on these tools in terms of code, there are no plans on the near term to merge them 100% but there are some gradual features for example added to MPLAB X to support Atmel AVR, even programming those parts. This first workshop was not hands-on but we learned step by step how to put together a basic project using MPLAB X IDE and the MPLAB Code Configurator (MCC) and its equivalent on Atmel Studio called START. I will be posting some projects on the Blog showing how to use these tools and how easy and quick you can get the code structure done with the most basic functions. While these tools are not suited for a more complex development project, they provide the basic framework and needed code to get peripheral functions and various features running. You are free to cut and paste the source code but you must respect the license and use it only with Microchip products. The second event was a combination of hands-on workshops and presentations, it was full day so plenty of time to learn a couple of tricks and get to meet and network with people in the industry. Again, we put together some projects using MPLAB X IDE and MCC, and I learned how to put together the whole architecture to use Mozilla’s Open Source IoT gateway, including how to create “things” using Microchip’s Atmel SAMW25 Eval Board. I’ll soon post a project how to setup the IoT Gateway and get few “things” on it. In the afternoon we had great presentations from various companies, they were really focused to help get you “launched” if you have an idea for a product or design and want to explore opportunities to get your idea to market. We also learned about Microchip’s efforts to support the Maker community, one of the major fears when Microchip acquired Atmel was what is going to happen with Arduino given that from day one it has been based on Atmel MCUs. Well, Arduino is here to stay for long time, Bob Martin Microchip’s Wizard of Make mentioned that he will be meeting with the Arduino folks in Italy to keep the platform evolving. Another interesting presentation was from DigiKey which keeps expanding and have also now a dedicated team to support the Maker community, where many of the well-known vendors like Adafruit, SparkFun, etc, now have their products also distributed by DigiKey. Jonathan Hallsten from Hallsten Innovations was great to share their approach how to go from a napking design, dev boards and hot glue to a real product and a finished solution for the end customer. Time well spent, met a lot of new great people and learned many new things. Thank You Nadine, Yuchung and the rest of the Microchip Team for putting this together and for the invite. If you are around town again I’ll do my best to be there!